Rwanda’s representative at this year’s Africa men volleyball club championships Gisagara have been drawn against Egyptian side Smouha and Libya’s Etihad in Pool B of the kicks off on Monday in Cairo Egypt. A total of 23 teams will be competing at this year’s championship and opening matches to go down on Monday. 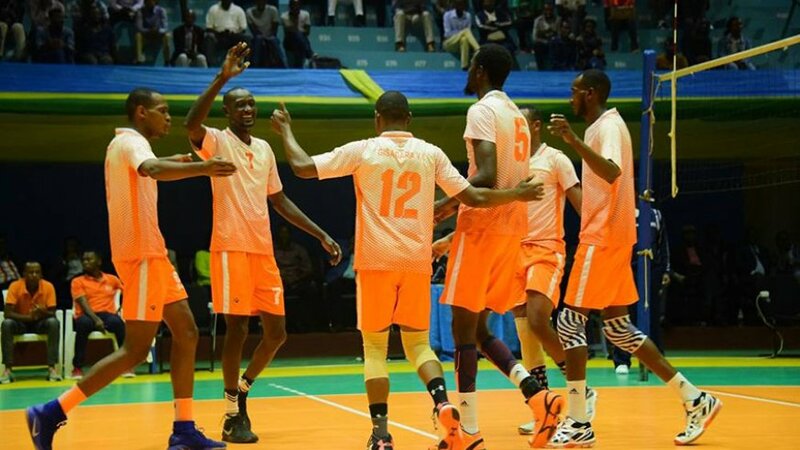 Besides Smouha of Egypt and Al Ittihad El Masrati of Libya, the Rwandan champions will also face Uganda’s Christian University (UCU) and Gendarmarie of Madagascar. Gisagara is poised for a tough challenge against Smouha who have won the bronze medal last year, in 2018, and also in 2016. They finished fourth in 2015. In the opening game due on Monday afternoon, Gisagara will take on Uganda Christian University (UCU) at 15h00 before Smouha takes on Gendamarie of Madagascar in Pool B’s second game at 17h00. In other lots, hosts and 13-time winners Al Ahly have been drawn in Pool A that also has Injis from Ivory Coast, Police 6 from Botswana, Mugher of Ethiopia and Ahly Tripoli. Kenya Prisons has been drawn in Pool C that alongside Swhly of Libya, Rukinzo from Burundi, Woliata from Ethiopia and Espoir of and FAP from Cameoon. Having finished 4th in the last edition held in Cairo, General Service Unit (GSU) Headline Pool D that also features University from Zimbabwe, AS Fag of Guinea, Mwangaza from the Democratic Republic of Congo, Nemostars of Uganda and Asaria from Libya. Title record holders Al Ahly (13 titles) will be out for a record third crown in a row as they keep their eyes fixed on a 14th title this year. Ahly is the only team in this year’s competition to have won the crown in the past and in the event that they fail to defend their crown, then a new team will emerge with a first crown ever. Elsewhere, Egypt’s Ahly captured their tenth historic Women’s African Club Championship title after they outclassed their arch-rivals Carthage of Tunisia 3-1 (21-25, 25-15, 25-11, 25-19) in the final of the competition at Ahly Hall in Cairo, Egypt on Monday 25th March, 2019. The bronze medal went to Kenya Pipeline following their victory over Algeria’s GSP 3-0 (25-22, 25-17, 25-18) in the third place match. Rwanda’s representatives Rwanda Revenue Authority managed a 10th place finish behind Kenya Commercial Bank.